See the best of the East Coast with Ultimate guides! Get ready for an epic guided group adventure exploring the very best of the Australian East Coast on the Ultimate East Coast Explorer package from Sydney to Cairns. 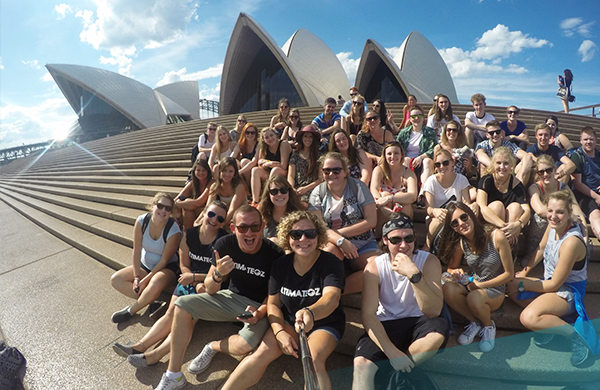 Discover amazing Aussie locations, have heaps of fun, create unforgettable memories and make friends for life! 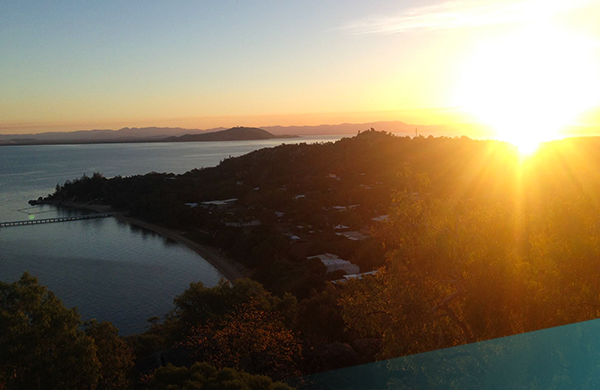 We’ll show you the very best spots along the East Coast including Byron Bay, Brisbane, Magnetic Island & Cairns! 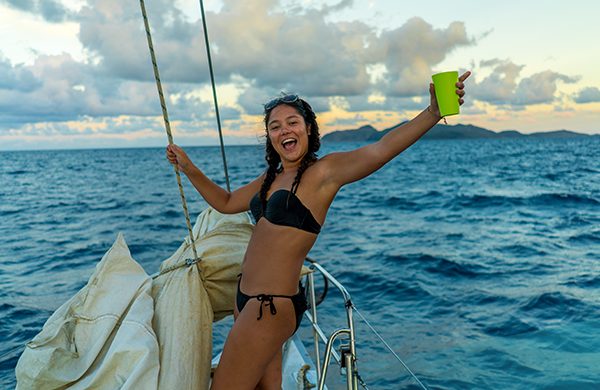 We’ll sail around the Whitsunday Islands, camp on Fraser Island, party in Surfer’s Paradise, spot Aussie wildlife, snorkel the Great Barrier Reef & more! This package includes your travel pass from Sydney to Cairns, a fun and experienced Ultimate guide, 35 nights accommodation, heaps of awesome activities and some meals. You’ll be travelling with your group & guide on a comfortable coach complete with wifi and reclining seats. 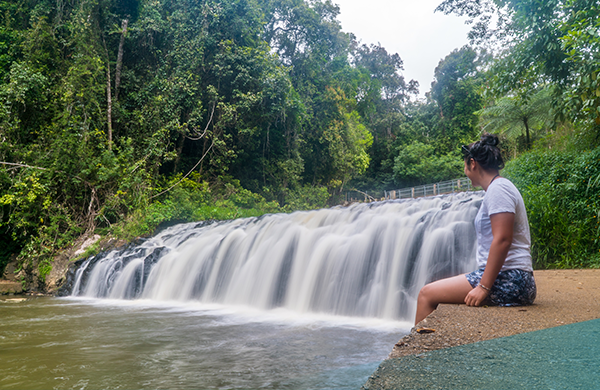 This trip is perfect for solo travellers and groups! Our awesome Ultimate guides will be travelling the East Coast with you from start to finish and on hand to help you with anything you need along the way. Our guides are professional, first-aid trained and passionate about giving you the best experiences in the places we travel to! 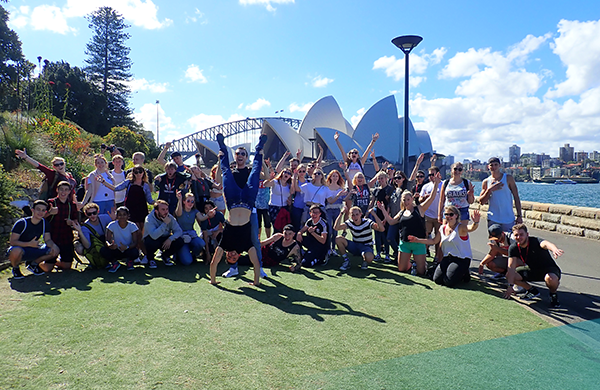 Your Ultimate East Coast adventure starts here in Sydney, with a guided tour of the city and an orientation at the Ultimate HQ. Get to know your group throughout the afternoon before we begin our epic journey up the East Coast. We’ll travel overnight by luxury, air conditioned coach, complete with wifi and reclining chairs so sit back, relax and get ready for 5 weeks exploring the very best of the wonderful East Coast of Australia! This morning, we arrive in Byron Bay, the boho hub of the East Coast. Explore the town, chill on the stunning beaches and embrace the laid-back surfer vibes of Byron! We’ll take part in a fun, professional surf lesson so you’ll be riding the waves like a pro in no time! Tomorrow we’ll zen out at morning yoga on the beach, enjoy more time exploring Byron, and enjoy some tasty wine & cheese at our hostel this evening! The next morning, we’ll head to the famous Byron lighthouse to take in the gorgeous ocean views at sunrise before checking out the local farmers markets. Keen for more? No worries, go kayaking with Dolphins, or explore the famous hippie hub of Nimbin (optional add-ons). The choice is yours! 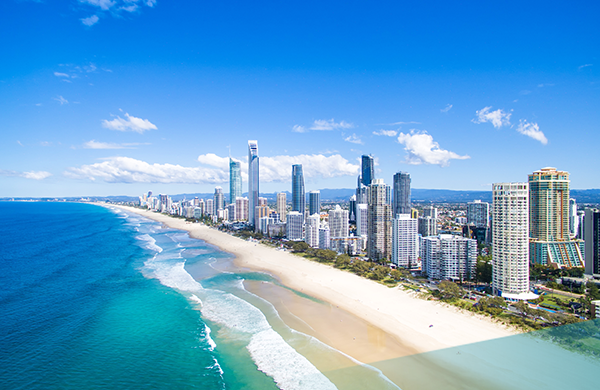 After a morning at your leisure, we’ll set off for our next stop; Surfers Paradise! Known for its awesome waves, never-ending nightlife and long sandy beaches, Surfers is a real highlight of the East Coast. We’ll explore the town and the beautiful beaches this area is renowned for. This evening, get dressed up and head out to some great bars and clubs for a fun night out on the town on our optional pub crawl (add-on). If you love theme parks your tour guide can help you organise a visit to Dreamworld, the most famous theme park on the Gold Coast or book you onto a stand up paddleboarding session (optional add-on). Spend the next day chilling by the pool, soaking up the sun or exploring the city, before we get together for a Sausage Sizzle and a few bevvies. In the morning, we’ll hop on the bus and head to Brisbane! With accommodation right in the buzz of the city, we’ll explore the best bits of Brisbane, from man-made Streets Beach to Southbank, the cultural hub. This evening enjoy a trivia night at your hostel! If you fancy, you also have the option of heading to the famous Australia Zoo to see some amazing wildlife! (optional add-on). 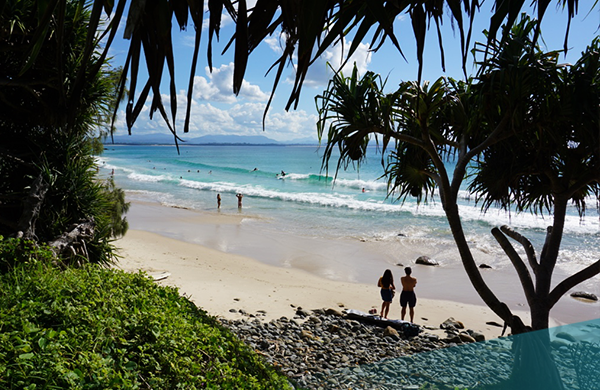 Tropical greenery, diverse wildlife, and beautiful beaches – Noosa, our next stop, is gorgeous. We’ll arrive in the afternoon, chill by the beach and watch the sunset. Tomorrow, we’ll take a hike over the coastal headlands taking in the amazing sea views. The rest of the day is yours: chill by the pool, grab a surfboard or boogie board from your hostel (free) or have a couple-a beers at the bar before enjoying a sausage sizzle at your hostel this evening. Today you also have the chance to join a Noosa Everglades Kayak adventure (optional add-on). Our next stop is Rainbow beach, the gateway to our Fraser Island adventure! Check into our hostel and head out for a short hike to Carlo Sand Blow, a unique sand mass where you can watch the sunset over the southern tip of Fraser Island! In the morning, we head out early to Tin Can Bay, home to Australian Humpback dolphins. Here you’ll get the opportunity to view the resident pod of wild dolphins as they feed. You can also choose to buy some fish ($5) and enter the knee deep water in the marina to feed the dolphins. 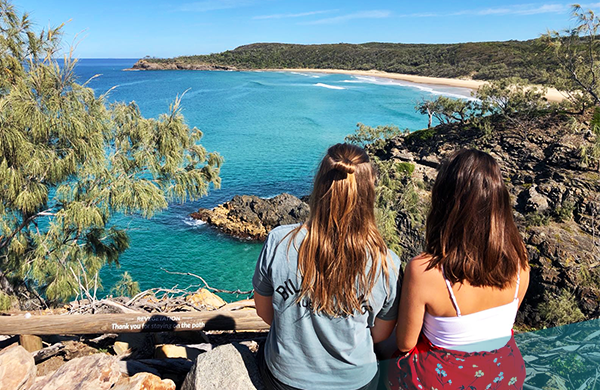 The rest of the day is free for you to chill on the beach, explore Rainbow or relax at the hostel – before our Fraser Island safety briefing in the evening. Ready to explore the world’s largest sand island? Today, we will begin our Fraser Island adventure, exploring this vast island in a 4×4! We will drive on the beach highway, take a dip in the amazing clear waters of Lake McKenzie, bathe in the champagne pools, and take in vast views from Indian heads lookout. We’ll be spending the 2 nights here in our own private campsite, just a few metres from the beach, so kick back and take in the amazing views! We’ll head back to Rainbow beach for another night, before journeying to our next spot. Our next stop is Town of 1770 – named after Captain Cook’s second landing spot in Australia. 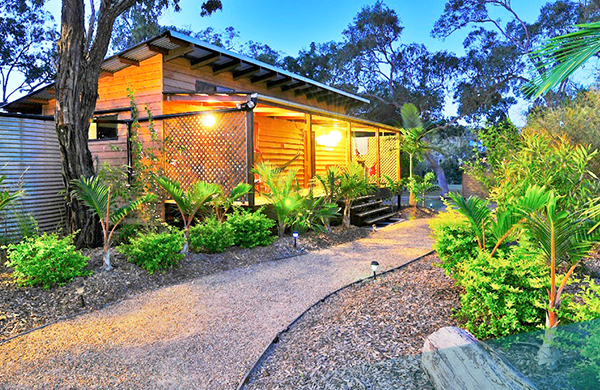 We’ll check into our accommodation before having a classic Aussie camp fire – bliss! Our next two days here are free for you to spend as you like. Play games by the pool, chill on the beach, hire a surfboard and catch some waves or join 1770’s famous scooter tour (add-on). In the evening, we’ll hop on the overnight bus to Airlie beach, arriving the next morning. Check into your hostel before heading out to explore tropical Airlie Beach, taking a dip in the famous harbourfront lagoon. The next day, it’s time to start our Whitsundays adventure! We’ll be spending the next few days cruising around the stunning Whitsunday islands on a Maxi sailing yacht. We’ll be sleeping onboard so get comfy, have a drink, enjoy some delicious food, and settle into the gorgeous surroundings. Snorkel in pristine blue waters, visit some of the whitest sandy beaches in the world, chill with your mates and witness some incredible sun sets. The Whitsundays are breathtaking! After two amazing days on the boat, we’ll head back to our hostel in Airlie Beach for the next two nights. Arriving in the evening, we’ll hit the hostel terrace bar and reminisce on our Whitsundays adventure! The next day soak up the paradise vibes at Airlie’s lagoon, wander around the town or explore the surrounding national park before our journey to Townsville, the gateway to Magnetic Island! You’re in for a treat as we spend the next 3 days exploring Magnetic Island – home to wild koalas, wallabies, and golden sandy beaches. Snorkel in the pristine island waters, take the guided Fort’s walk offering incredible views of the island and chill at the hostel. Our hostel even has an on-site wildlife park where you can get up close to Aussie wildlife such as koalas and wallabies (additional cost). Want to explore the rest of the island? Rent a 4×4 ‘Barbie car’ and drive around the island with your mates (available for hire)! 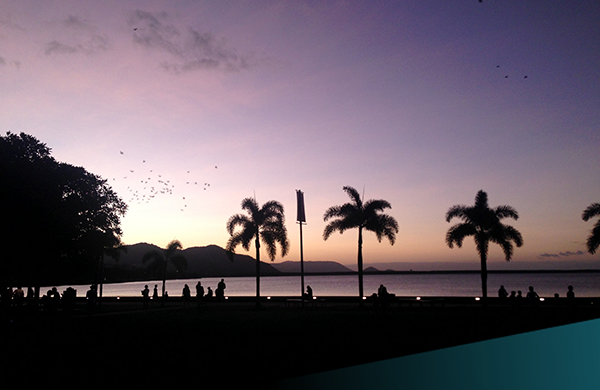 Our next stop is Mission beach, where the rainforest and the reef meet and renowned for incredible sunrises. The next morning is free for you to spend at your leisure. We recommend exploring the neighbouring National Park, traditional country of The Djiru Aboriginal people. If you’re up for a bit of adrenaline action, you have the option of joining an awesome white water rafting adventure in Tully, just a short distance from Mission Beach (add-on). You’ll have some free time in Mission beach the following morning before we head to Cairns. Mission beach is home to Australia’s highest skydive (15,000ft!) so if you’re feeling adventurous and ready for some adrenaline pumping action – get signed up (add-on). Fly over a reef, jump out a plane and land on a beach. Awesome! Tonight we arrive in Cairns – the Ultimate backpacker destination, and home to the Great Barrier Reef. Enjoy luxury air conditioned en-suite dorm rooms, a huge pool and daily entertainment in our resort style accommodation. We’ll be spending the next 5 days here, so settle in and get ready for an exciting few days ahead!Keen to explore the rainforest? 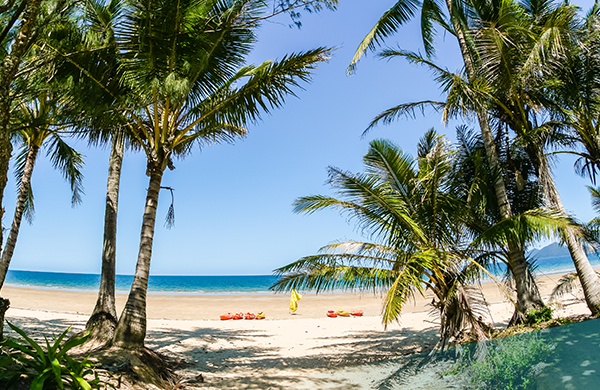 You’re in the right place – Cape Tribulation add-ons available. Plenty of adrenaline pumping add-ons available on checkout! 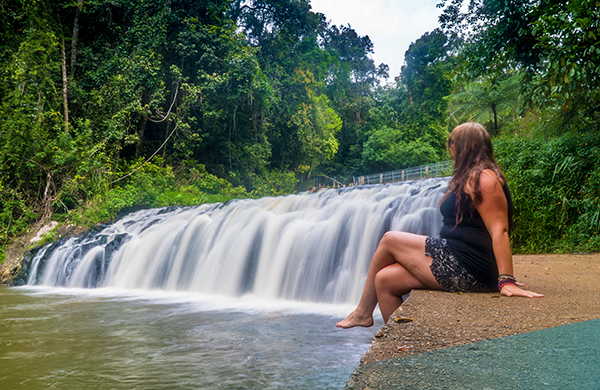 Our first full day in Cairns will be spent exploring the Tablelands region, chilling under waterfalls and sliding down natural rock slides. If you’re lucky, you may see some shy platypuses in the wild! What better way to spend your last few days in paradise than a day trip to the breathtaking Great Barrier Reef? 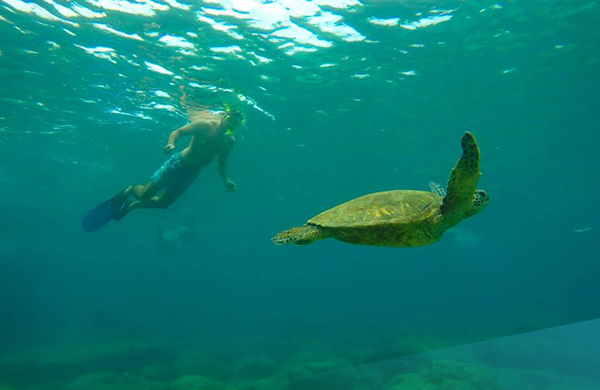 We’ll take a boat to the outer reef and snorkel around the vibrant coral, encountering turtles, stingrays and maybe even Nemo – an experience you’ll never forget! The final two days are open for you to explore Cairns. 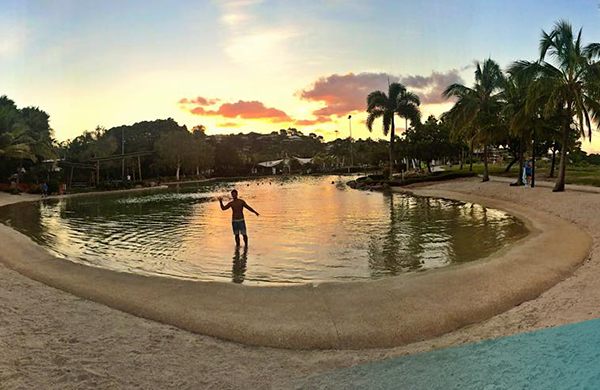 Chill at the hostel pool, make the most of the nightlife, visit the Cairns Lagoon and soak up the sun while you reminisce on the past 5 week of adventure with your new mates! 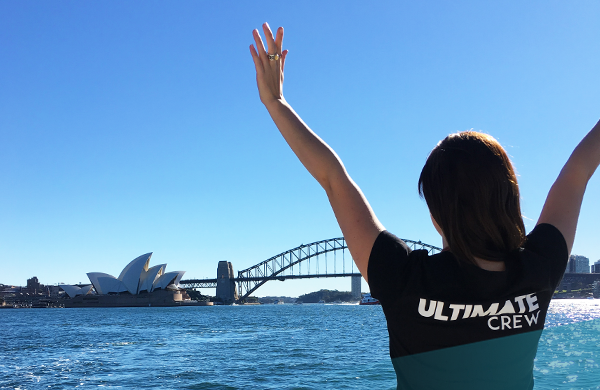 Whether you plan to stay in the tropics, travel elsewhere in Australia or onto a different destination, your tour guide and the crew at Ultimate HQ will be here to support you and help you plan your adventure! Book, check start dates & secure your spot! Read more about your Australia adventure in our online brochure! Give us a shout if you have any questions….big or small, we’re here to help!